And I'm the only one using them. No roommates to share with or anything like that. Can anyone beat those numbers? however, I can call witness to this, yes she does have that much "pro-duct" in the bathroom. 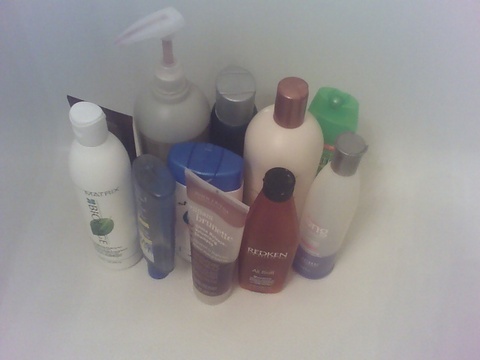 Please do us a favor, we want to see all of the lotions, and body wash, and exfoliants as well. 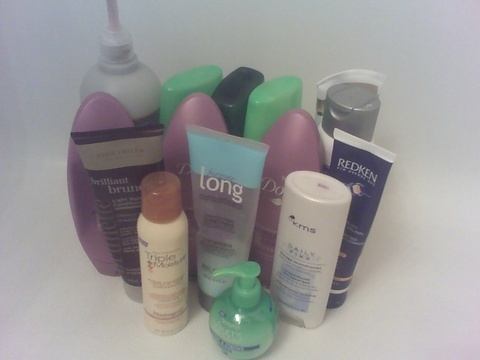 Clearly you should read my latest post "On Shampoo."